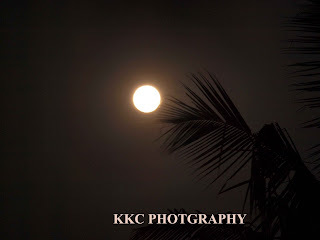 This photograph was taken on the 10th of January'09 - a full moon day. I guess the first full moon day of 2009. 14% bigger and 30% brighter...!!! (smiling at me you see) it was looking like a cheese ball that day...!! This photograph was shot with an Olympus digital SLR camera 40-150mm lens on full zoom from my terrace with a portion of the coconut palm (to add some poetic effect). 16/5 s exposure time with f-number 14. Photo looks great! Try to post it large, so that the visitors will get a better feel. Also try posting more photos, you have got an SLR, try experimenting. All the best! Exams... love it or hate it....?!?!?! The Value Of a Woman...! !